Если что-то пошло не так, иногда помогает переподключение iДевайса к хосту. 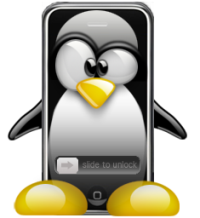 http://www.libimobiledevice.org/ — libimobiledevice is a cross-platform library that talks the protocols to support iPhone, iPod Touch, iPad and Apple TV devices. Unlike other projects, it does not depend on using any existing proprietary libraries and does not require jailbreaking. http://www.gtkpod.org/libgpod.html — Libgpod is a library to access the contents of an iPod. It supports playlists, smart playlists, playcounts, ratings, podcasts, album artwork, photos, etc.